Product Exported to Japan | 友士股份有限公司-USE Electronics Co., Ltd.
High-power LED chips, LED fluorescent lamps, 120W canopy lights, LED light bulbs and the like. The adoption of the DD motor (Θ) and the linear motor (Z) made miniaturization possible. 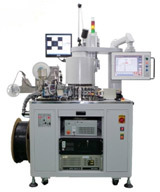 This is a highly versatile handler that features processing performance of 30,000 UPH and capable of handling a broad range of items, from a micro-chip of 1010 to power semi-conductors of 7 x 7 mm. Each work station has been modularized for easier additions and changes after they are installed. Features that can be accommodated include CCD cameras for external inspection, bar code readers, taping functions and the like. We can also offer ultra-high-speed testers that can be fitted on this handler for sale. We have track records with major semi-conductor manufacturers from Japan and a track record for many installations overseas, including Southeast Asia. Chip resistors, ceramic capacitors, inductors, gas sensors, temperature sensors and the like. Switching power supply, AD-DC adaptors, Drivers for LEDs. We are producing the world’s top class cells with excellent production processes and high yield rates made possible by continuous innovations. Cells produced by automated systems area available as products made with mono-crystals and poly-crystals and are also available as 2BB and 3BB types. 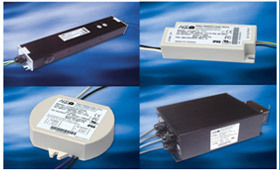 These modules have track records, including numerous international certifications. Highly efficient solar cells that offer stable and high energy outputs, as well as modules created with cutting edge manufacturing technologies and reliability that have long term life spans are ideal selections that provide high efficiency and cost effectiveness. 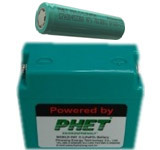 Three types of lithium ion batteries are available. These are classified as lithium-cobalt oxide, lithium manganese oxide and lithium iron phosphate (iron phosphate lithium ion). Iron phosphate lithium ion batteries have inferior energy density but offer high safety and as such, they are used mainstream in nations around the world. LEDs with high luminous efficiency are becoming the focus of attention as the international situation demands global environmental protection and energy conservation as essential requirements. 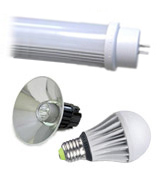 A rapid transition from incandescent lamps, fluorescent lamps and mercury lamps to LED lights, which had not been drawing much attention in the past, is now progressing rapidly. 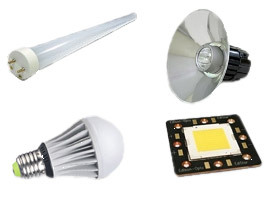 We offer numerous types of LED lighting equipment. We provide LED fluorescent lamps, flood lights, street lights, ceiling lights, down lights, flexible lights, as well as LED lighting for plant factories, which are expected to undergo growth in the future. 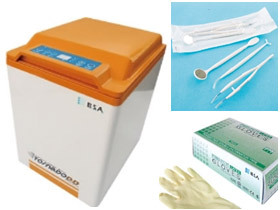 Alginate mixer, dental implements, glove and mask used in dental field.